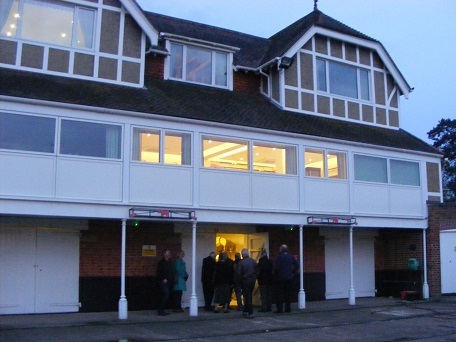 The Wargrave Local History Society paid a visit to the Leander Club, in Henley, for their April 2019 meeting. The evening began with an illustrated presentation on the 200 years history of Leander, given by Society member Brian Armstrong. Brian was the Head Coach for the British rowing team at 12 World Championships and 3 Olympics, (for which he earned a lifetime achievement award at the UK Coaching Awards), and has subsequently been a coach at Leander, so has a special insight into rowing as a sport. In the 18th century, the River Thames through London was not confined with concrete walls as it is now. Most goods were moved by boat, and London Bridge was the only fixed crossing of the river below Kingston - there being 80 sets of steps along the river from which watermen would ferry people across. By early 19th century, several other bridges had been built, such as at Putney and Richmond. It was in this early 19th century period that Leander was formed - although there seems to be little formal record, it appears to have been founded between 1816 and 1818. There were two existing clubs that became associated with Leander - Star merging with Leander by 1818, and the Arrow. The men of Arrow and Leander were rowing together by the late 1820s, and the two clubs then merged. The crest for Leander includes both a star and an arrow in recognition of its ancestry. 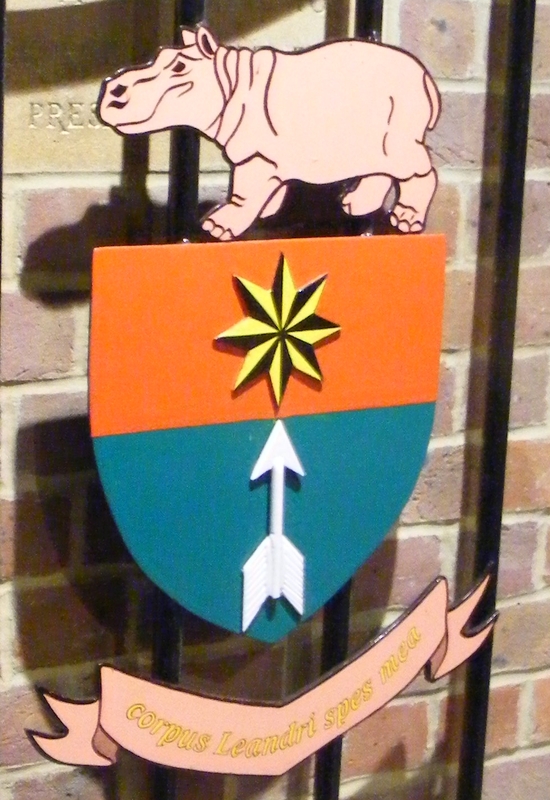 The Leander part of the crest is a hippo - in African tradition a hippo is 'king of the river', and equally at home in water or on land -some people also considered a hippo to be the only aquatic animal - apart from Leander members - that keeps it nose in the air! The reason for the adoption of Leander as a club name maybe from Greek mythology, or because the first boat used by the club, hired from Searle's Yard, bore that name. Searle's Yard, just across the Thames from the Houses of Parliament, (and now the site of St Thomas' Hospital) became the club's first base. Initially, membership was limited to 15, with an entry fee of £5, and an annual subscription also of £5. The club rowed on Tuesdays and Thursdays - if sufficient members were not available, a waterman would be paid a fee to row with them. In the early days it was all long distance rowing - such as from Lambeth to Gravesend, and then up to Richmond, and back again, and it was several years before they participated in 'side by side' racing against other teams. This arose when Christchurch College Oxford challenged others to race against them between Westminster and Putney - and Leander won. In 1829 the Guard's Club challenged them to race between Vauxhall and Kew. Not only did Leander win comfortably, they continued to Richmond, where they stayed overnight - several hundred spectators welcoming them as they rowed back to Lambeth the following day. The next year Leander raced against Eton College (who had formed a rowing club in 1815) - and beat them convincingly, whilst in 1831 (as the University Boat Race was cancelled to an outbreak of cholera in London) Oxford University challenged Leander to race from Hambleden Lock to Henley - Leander again being triumphant. By 1854, the limit on membership had risen to 22, and there were a further 23 retired members, and from 1860 the limit on numbers was removed. That year was another milestone in the Club's history, for they moved to a site at Putney. A tent was erected to house their equipment and rooms rented at the Star and Garter. A purpose built clubhouse followed in 1866. The Club so dominated the races that they were called the Brilliants or the Invincibles. Some 20 years later the Club discussed a move to either Molesey Cookham or Henley. Cookham was the favoured location, but nothing happened at that time. Membership had risen to 440 by 1889, and at this period Leander won the Grand Challenge Cup at Henley Royal Regatta for 12 years out of 15 - the Brilliants and Invincibles were in business. A Special General Meeting in 1893 saw new rules adopted for membership. To be eligible, an applicant had to have rowed for Oxford or Cambridge in University Eights or Trial Eights, or in the Grand Challenge Cup at Henley, or been in one of the first 3 boats over the line at the major Oxford or Cambridge events. The result was that Leander changed from a small club to a really big one that would go on to dominate rowing. A new clubhouse was then opened in 1897 - on land initially leased from Henley Corporation - and popularly called the 'Pink Palace'. It included sleeping accommodation for members - (increased in the extensions added in the late 1990s). In 1902, the Club was invited to an international regatta at Cork, where the beat a German crew in the final. The 1908 Olympic rowing events were held at Henley, with 2 Leander crews representing Great Britain - and winning 2 gold medals. In 1912, the King and Queen attended the Henley Regatta, whilst at the Stockholm Olympics that year Leander's team beat Germany in the final. Little rowing was possible during World War 1, but there was a resurgence in the 1920s, with membership up to 1500 by 1929. Royal patronage was obtained in 1936, and the Queen remains as Patron. After World War 2 - when some activity continued, the freehold of the clubhouse site was bought from Henley Council for £3000. 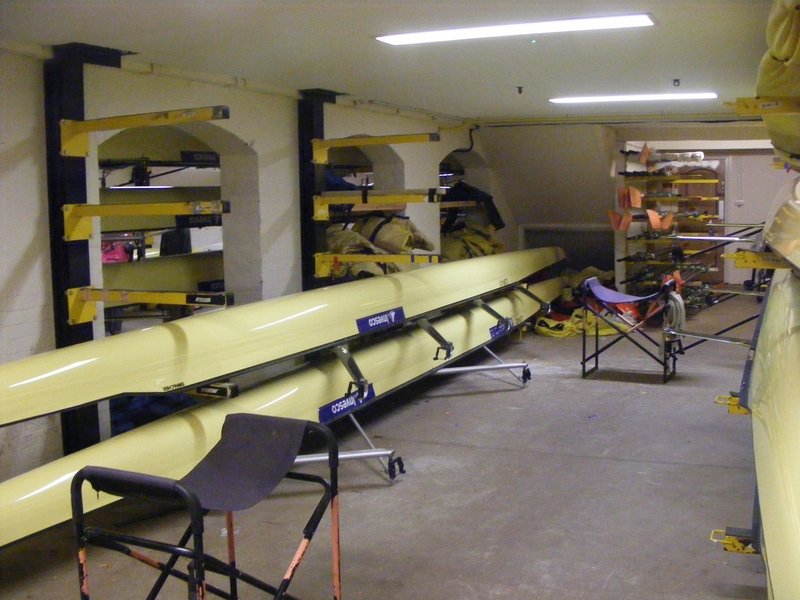 A class of 'associate membership' was introduced in 1975 - full members being rowers. A motion in 1987 to allow women to become members was defeated - they were accepted a decade later. An outstanding feature of the post-war era has been the Olympic successes. In 1948 the Great Britain crews included 12 Leander athletes, and they achieved 3 gold and 8 silver medals. By 1992, 16 Leander men and 3 coaches and the chef-de-mission came from Leander, and similar contingent were in the GB team at Atlanta, including Steve Redgrave and Matthew Pinsent - who remained unbeaten for many years. For the London Olympics in 2012, Leander provided 27 athletes and 3 coaches for the GB team, and they gained 14 medals - thus making Leander the only club, in any sport anywhere in the world, to gain 100 medals. For the 2016 Olympics, 23 Leander athletes - 14 men and 9 women - with 3 coaches represented their country, winning 7 golds and 5 silvers. 2018 was marked as the bicentenary of the club, with a series of special events. The year coincidentally included the 200th win for a Leander crew at Henley Royal Regatta - the 6 wins that year taking the total to 205. Other celebratory events included a special service in St Paul's Cathedral, and the unveiling of a commemorative stone on the St Thomas' Hospital site. Society members were then given a tour of the clubhouse housing some of the boats, which are made of Kevlar and fibreglass, those for Eights being about 17½m long, and cost £38000 each! 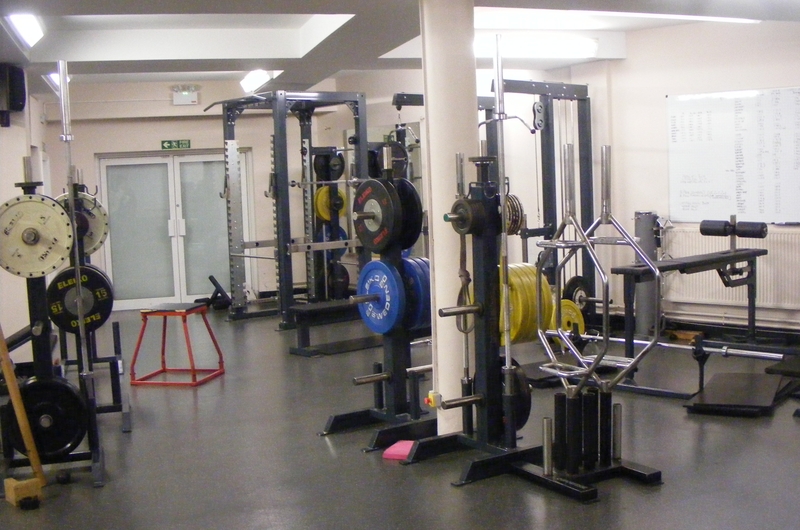 Other facilities include a large gymnasium, meeting rooms and increased provision for accommodation. Notable in the entrance hall is a large board - designed by Brian - and featuring, by special permission, the Olympic rings, in which are recorded the names of all Leander athletes who have competed in the Games, also recording those who won gold or silver medals.